Helping the American worker back on top of the world one robot at a time! The future of industry is Robotics....We can help you with your future system today. Click Bond is an ideas company delivering advanced fastening solutions located in Carsen City, Nevada. 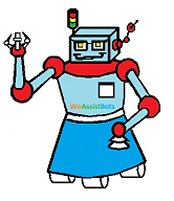 Click Bond contacted WeAssistBots about assisting them in programming a machine tending application that they already had. They wanted WeAssistBots to help them develop the project, train the technicians, and program 85% of the Fanuc LR Mate 200iD robotic cell. Click Bond only wanted 85% of the cell’s programming done so their technicians could finish the rest and implement their new training. The LR Mate 200iD needed to use vision to identify parts, and they wanted the robotic cell to be collaborative to minimize safety fencing costs. This was quite a lot of training in a short amount of time, but with the use of the mutually developed SRS WeAssistBots was able to fully train Click Bond’s technical team. This allowed Click Bond to continue finalizing their robotic cell after WeAssistBots left the site, and further develop their hands-on training on their own with minimal telephone support when required. What can a collaborative robot do for your company today? Do you want a highly trainable, timely, and efficient worker that doesn't talk back or call in sick?